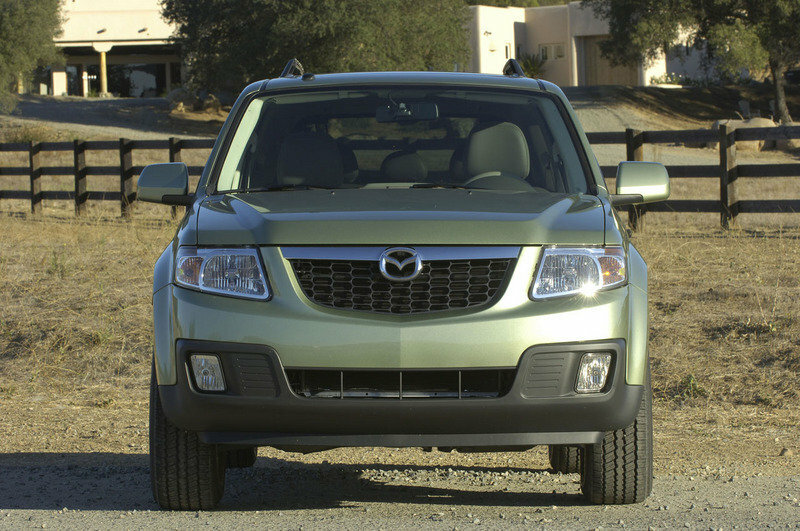 The Mazda Tribute (Code J14) is a compact CUV made by Japanese automaker Mazda since 2001. It is jointly developed with Ford Motor Company and based on the front-wheel drive Mazda 626 platform, which is in turn the basis for the similar Ford Escape on the CD2 platform. The Tribute is priced below the Ford Escape and Mercury Mariner in Ford's CD2 SUV lineup. The Tribute and Escape debuted in 2001, offering front or all wheel drive and a choice of a transversely-mounted 2.0 L Ford Zetec 4-cylinder engine or 3.0 L Ford Duratec V6. Ford Escape was also sold as the Ford Maverick in Europe with a Ford 2.0 L I4 Zetec engine with manual transmission, or 3.0 L Duratec coupled to automatic transmission. One main difference between the Tribute and the Ford Escape/Maverick is that the Tribute's suspension is tuned for a firmer ride than the Escape/Maverick, in order to correspond with Mazda's sporty image. It is also Mazda's oldest SUV still in production. Despite the fact that the Tribute has been in production much longer than the updated models from competitors, it is still hailed by many enthusiasts to be a "soulful" vehicle, with extraordinary ride, handling, and performance characteristics which set it apart.